Set in the Napa Valley at the turn of the century, this novel beautifully evokes the characters' love of the land and the rhythms of life lived close to the earth and its seasons. Spirited Alda Pendle is the daughter of a viticulturist who has taught her his craft. When he dies, leaving her without property, her skills make her indispensable to the solitary owner of one of the old vineyards in the valley. 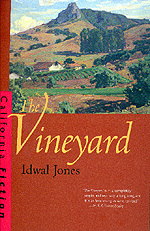 The novel provides a vivid history of winemaking in California to the Prohibition era. Idwal Jones (1890-1964) was the author of novels as well as non-fiction works, including Vines in the Sun. Robert Mondavi is founder and chairman of the board of Robert Mondavi Winery.